Akari is a Registered Acupuncturist with a professional Western Medicine background. Akari is a former Registered Nurse and Clinical Engineer from Japan and has worked at ICU, ER, and Hemodialysis units. Akari also played a role as an Medical Equipment Educator and Medical business consultant assistant which enlightened the joy of teaching. In Canada, Akari practices as an Acupuncturist (R.Ac) and shifted her clinical focus on promoting wellness during the very special time from preconception, pregnancy, to postpartum/lactation. Her treatments always include self-care and some educational components. 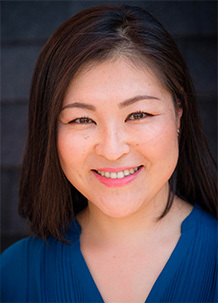 Akari also values the emotional aspects of their health so that her patients are not only pain and symptom free, but also feel optimal and true-self with just how and who they are. Akari has been learning advanced theories and treatments in above mentioned fields from numerous educators and mentors. Her treatment is a true blend of all mentors’ work and her own extensive clinical experience to best address the very unique patient right in front of her. Akari’s friends and patients describe her as patient-centred, professional, detail-oriented, and problem-solving. Akari welcomes all patients at her practice, however, she does extremely well with those who are open to experiencing different treatment approaches and are willing to pursue their better health with Registered Acupuncture. Akari’s practice is gender inclusive.